Here's an early TV episode of "The Guiding Light." You can find early radio episodes of the soap opera here and here. 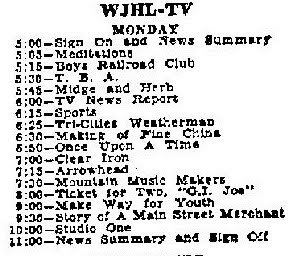 This is WJHL-TV's schedule for Oct. 26, 1953, the station's first day on the air. Note at 7:30, "Mountain Music Makers." Bonnie Lou and Buster were on the air the day the station signed on and stayed with WJHL for nine years. 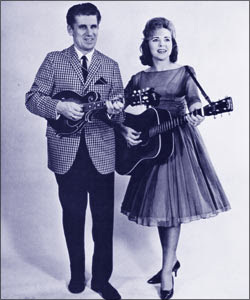 And here they are, Tricities original Mountain Music Makers, Bonnie Lou and Buster Moore. 201 Broad Street Opens! 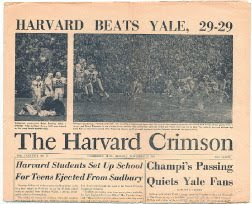 1929! 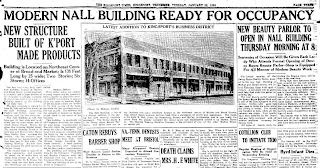 Today it is home to The Paper Tree, Central Barber Shop, The Cutting Edge and Suzanne Justis's art studio. In 1972 I was working behind the scenes as a producer at WBIR-TV in Knoxville. 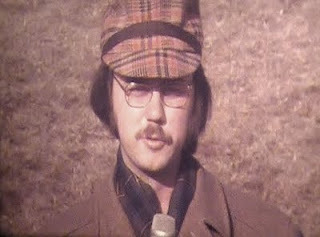 I got talked into doing an on-camera interview with Olympic skiing champion Jean-Claude Killy, who was promoting something or other in Boone, N.C. And I wore this goofy hat. I have no idea where I got the hat or whatever became of the hat. And now, four decades later, I wish I had never bought the hat. Or worn the hat. But here it is. Click on the picture to watch the story (sorry, the sound couldn't be salvaged). 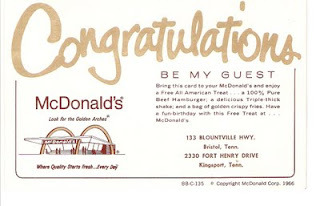 The good folks at Mickey D's on Ft. Henry Drive honored this birthday club certificate 41 years after it was first sent to me! Is this the Ghost of Dickson School? 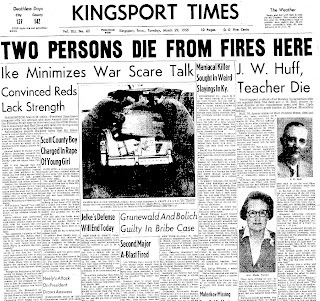 Lola Pursley died because of a fire at Dickson School in March 1955. Head Start workers now at the school think Lola is back to help protect the new generation of children at Dickson.